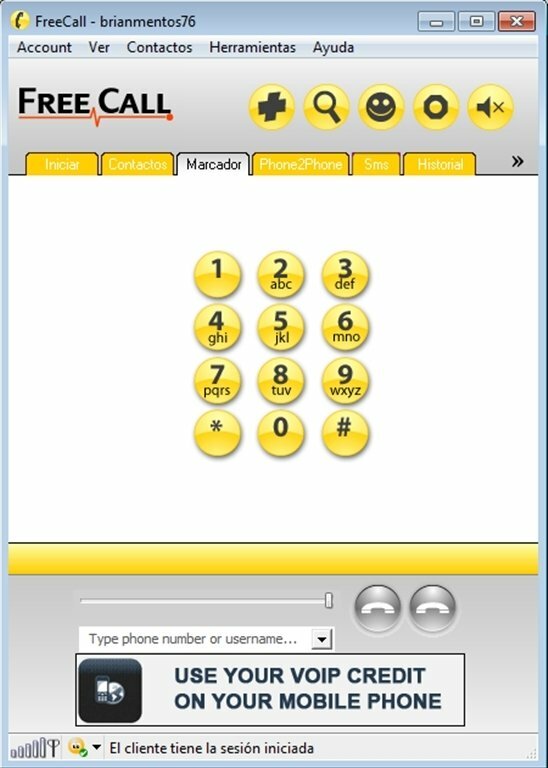 There are many applications with which we can communicate with the rest of the world by means of our computers such as instant messaging systems (Messenger), programs to communicate by means of VoIP (Gizmo5) or hybrids of both systems (Skype). 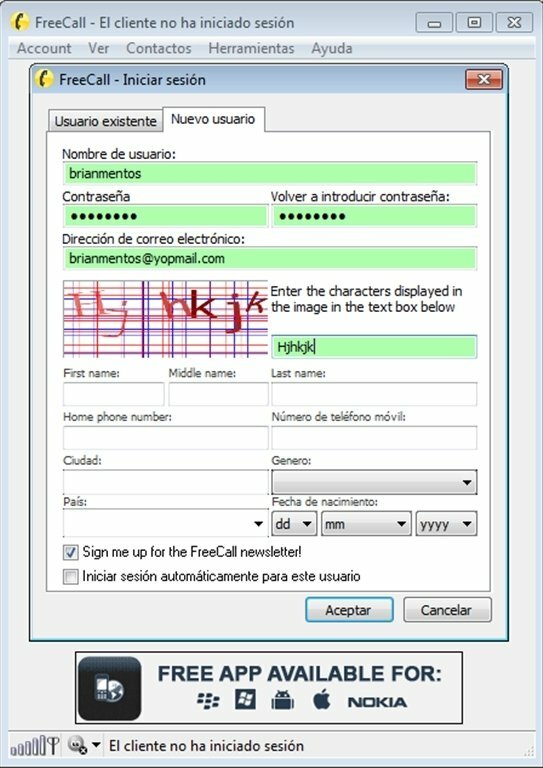 With these program we could only communicate with people that were “on the other side” of the computer; but FreeCall is going to change how we see this communication method, because it's the first one that will allow us to call directly to other phone numbers and send text messages (SMS) to mobile phones. The cheapest way to make a phone call. View the program's history use. Change any of the application's options. After the installation, we'll have to follow a small tutorial with which we'll be able to configure the audio options (speakers and microphone) and control options, to be able to check the compatibility of the program with our system. 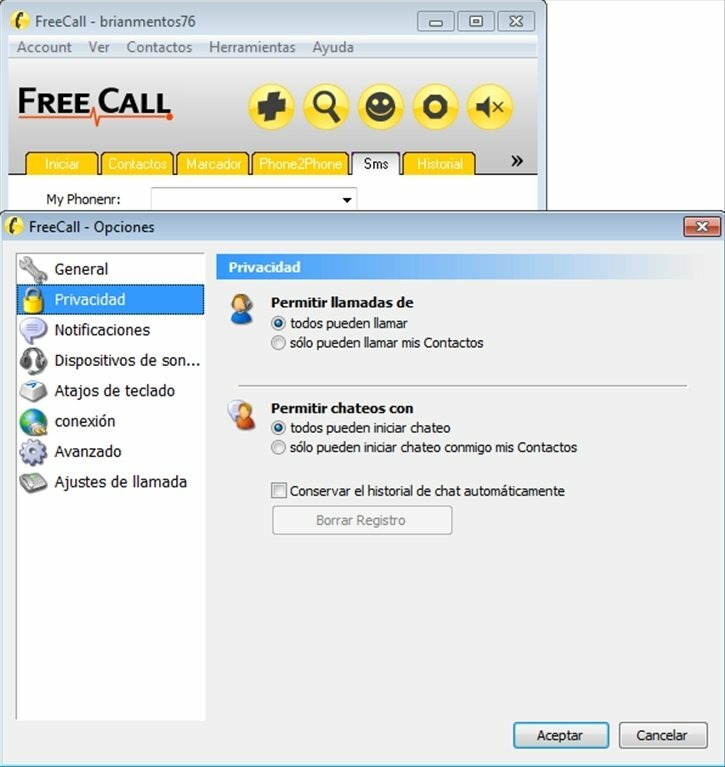 Furthermore, FreeCall allows us to import our contacts from Messenger, Skype and Outlook, so we won't have to create a new contact list from scratch. 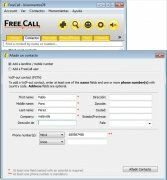 If you want to communicate with your contacts by phone or via SMS free of charge, don't think twice and download FreeCall right now.